Interesting Facts About Rhino !!! | Do You Know? Interesting Facts About Rhino !!! 1. Rhinoceroses get their name from their horns. The word rhinoceros comes from the Greek rhino (nose) and ceros (horn). 2. Rhino horns are made of keratin, like our fingernails and hair. 3. 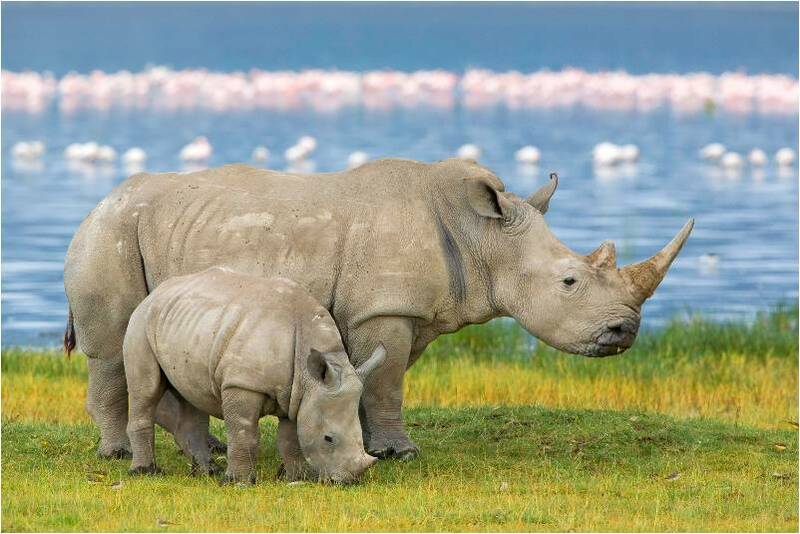 The rhinoceros has poor eyesight but it has a highly developed sense of smell and hearing. 4. A rhinoceros can run at thirty to forty miles per hour. Rhinos are herbivores. 5. The average lifespan of a rhinoceros is forty-five to fifty years. The average weight of a rhinoceros is over three to four thousand pounds. 6. A rhinoceros can sleep either standing or lying down. 7. 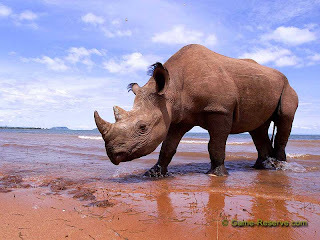 The skin of a rhinoceros is actually quite sensitive particularly to sunburn and insect bites. 8. When a calve is threatened by a predator adult rhinos will form a circle around them to protect the young. 9. Rhinos are herbivores. A group of rhinos is referred to as a crash. 10. There are five species of rhinoceros still alive today. These include the white rhinoceros, the black rhinoceros, the Indian rhinoceros, the Sumatran rhinoceros and the Javan rhinoceros. 11. A rhinoceros can survive four to five days without water. 12. The white rhino is the largest weighing five thousand pounds and measuring twelve to thirteen feet in length. 13. The Sumatran rhinoceros is the smallest weighing a little less than two thousand pounds and measuring eight to ten feet in length. 14. The hump on the back of a white rhino's neck is a ligament that helps support its massive head. 15. The Indian rhinoceros has a layer of skin with many folds that gives the rhinoceros an armor plated appearance.